Eleven tracks, on which the leader’s trumpet is heard on two tracks only, Into Forever is beautifully recorded; bassist Gavin Barras underpins much of the music, unobtrusive yet anchoring the ensemble, and the Cinematic Orchestra’s drummer Luke Flowers finds the right sound working alongside the album’s string section. Barras’ bass leads off many of the tunes with Flowers right there. As I Walk, one of several numbers featuring Oniyama, includes the lyric: …a world of tranquility. This, perhaps, exemplifies the ethos and vibe. 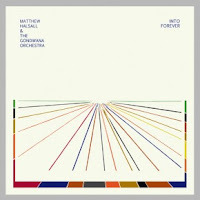 Halsall’s vision isn’t about the grandstanding soloist backed by a rhythm section. All of the tracks coalesce, presenting a broader canvas; contemplation, conversation, stillness. Oniyama’s intoned vocals on Badder Weather suggest a soul voice (of which we should hear more) as pianist Taz Modi takes a solo. The string section – viola and violin, cello, harp and koto – isn’t a bolt-on addition, it is integral to the album’s sound. The title track – Into Forever – is the first of two on which Halsall is heard playing trumpet as a member of the ensemble. The collective triumphs over the individual ego on this new CD. It will be released later this week – Friday October 2 – and Halsall and his accomplished troupe have a number of gigs lined-up starting on October 1 at the Capstone Theatre, Liverpool, on home-town turf at St Peter’s Church, Manchester (23) and a London show at Union Chapel (29) with other dates in between. 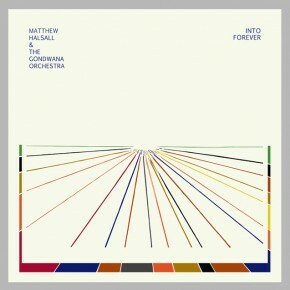 Into Forever by Matthew Halsall & the GondwanaOrchestra (Gondwana Records CD013) is released on October 1. It will also be available on vinyl and as a download.